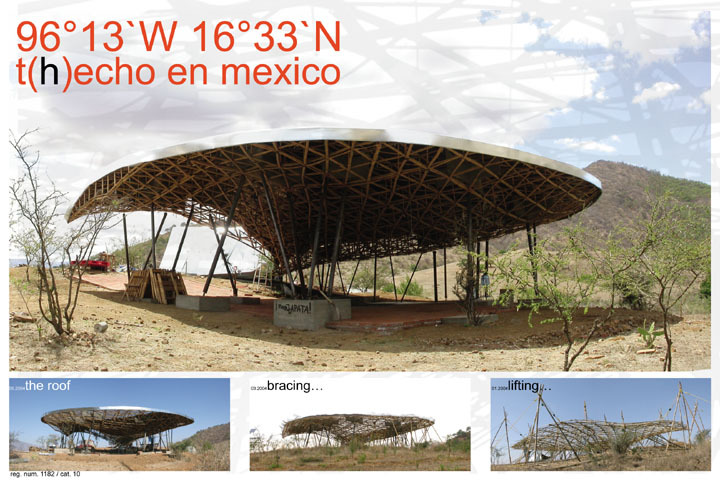 This hilltop pavilion was built for a permaculture institute in Oaxaca, Mexico. Collecting and distributing rainwater were main objectives in the design and construction of this bamboo structured pavilion. 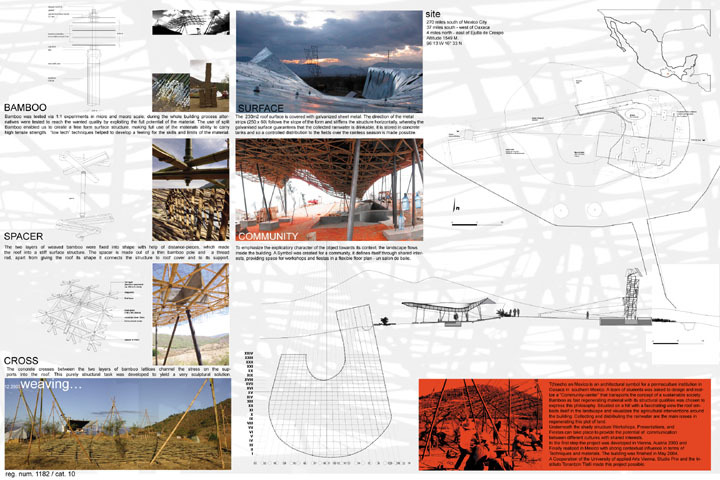 Split bamboo was woven together to create a more free-form structure for the roof.